Distribution and habitat: Begonia incarnata is a species of evergreen perennial succulent herb in the family Begoniaceae, native to Mexico. It is found in deciduous and pine forests of medium and high altitudes from 800 to 1700m (2600-5600 feet) or growing as secondary vegetation in damp places and shallow soils. This plant thrives in habitats that include wet and shaded slopes. Description: Begonia incarnata is a fibrous-rooted hirsute begonia with fleshy stems and bushy habit, growing up to 90cm-1.2m (35-47 inch) tall. Its 15cm (6 inch) long and 10cm (4 inch) wide, oval leaves are alternate and lobed, tooth-edged and covered with white hairs. Leaf colour is olive green with metallic gloss and the deep-set veins are purple. The slender petioles about 2.5cm (1 inch) long. Sometimes stipules can be observed (at the base of the petiole) narrowly ovate , pointed, up to 1cm (0.4 inch) long, reddish. The whitish, summer-blooming flowers are covered with pink hairs. The inflorescence with few flowers pedicellate – pedicels up to 2.9cm (1 inch) long – are clustered towards the apex of slender stalks – up to 7cm (3 inch) long. The peduncles and pedicels are without hairs. The flowers are unisexual and plants are monoecious or rarely dioecious. Male flowers are preponderant. The male flowers have 4 tepals (undifferentiated petals and sepals): two of them are external nearly circular up to 1.3cm (0.5 inch) long and the other two are shorter and narrower placed between the external tepals. In the middle of the male flowers are numerous elliptical stamens with the filaments bonded to the base and topped by anthers. The female flowers have 5 tepals oblong-ovate, up to 8mm (0.3 inch) long with the ovary which is continued by three styles united at the base. The flowers are accompanied by deciduous, narrow , bracts up to 8 mm (0.3 inch) long, pointed. The fruit is a capsule with 3 wings most probably with one wing larger then others. 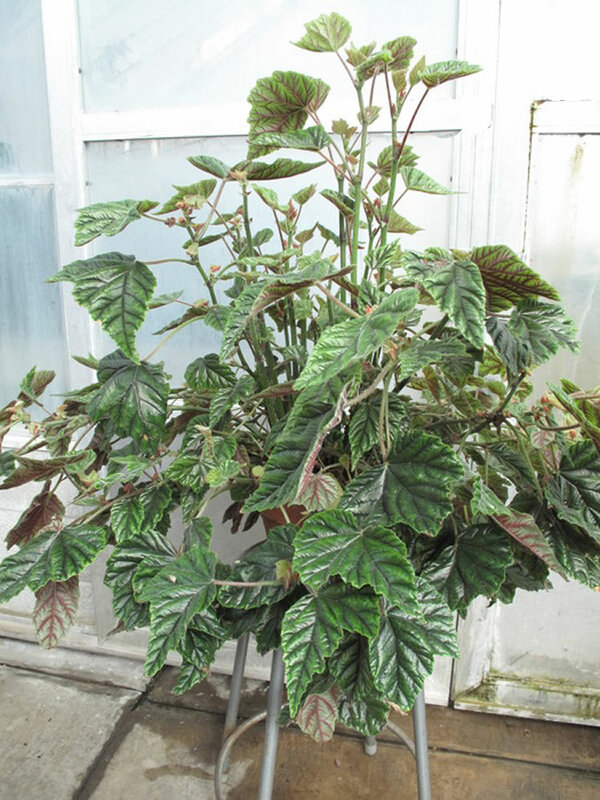 Houseplant care: Begonia incarnata is primarily grown for its beautiful foliage, but the blooming can be a bonus for its appearance. Keep the leaves of Begonia incarnata clean and glossy by dusting them with a soft brush, supporting each leaf with the hand to prevent damaging it. Avoid using leaf-shine products. Pinch the plant tips and prune outer stems in the growing season to make a bushier plant. Regularly remove spent flowers to encourage new flowers to develop. 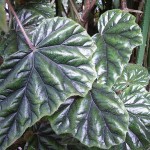 Light: Begonia incarnata needs bright light without direct sunlight to form great foliage, but can take some sun in winter. 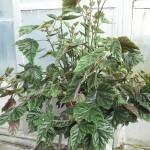 Temperature: Normal room temperatures are suitable for actively growing Begonia incarnata. Overwinter these plants at no less than 13°C (55°F). This species does not tolerate temperatures below 10°C (50°F) and will suffer in dry air. For increased humidity stand pots on trays of moist pebbles. These plants need a constant temperature and fairly high humidity to flourish. Watering: Water actively growing Begonia incarnata plants moderately, allowing the top couple centimetres (0.8 inch) of the potting mixture to dry out before watering again. During the winter rest period water more sparingly, allowing the top half of the potting mixture to dry out between waterings. Water these plants avoiding wetting their leaves. Do not allow the plant to sit in water. Promptly remove the standing water. Potting and repotting: Use either a peat-based mixture or a combination of equal parts of soil based potting mixture and coarse leaf mould. Place a shallow layer of clay-pot fragments in the bottom of pots for extra drainage. Move the plants into pots one size larger every spring until maximum convenient pot size has been reached – probably 15-20cm (6-8 inch) . Thereafter, top-dress annually with fresh potting mixture. When potting and repotting these plants, simply sprinkle some mixture around the roots and tap the container briskly to settle the mixture. Do not firm it down with the fingers. 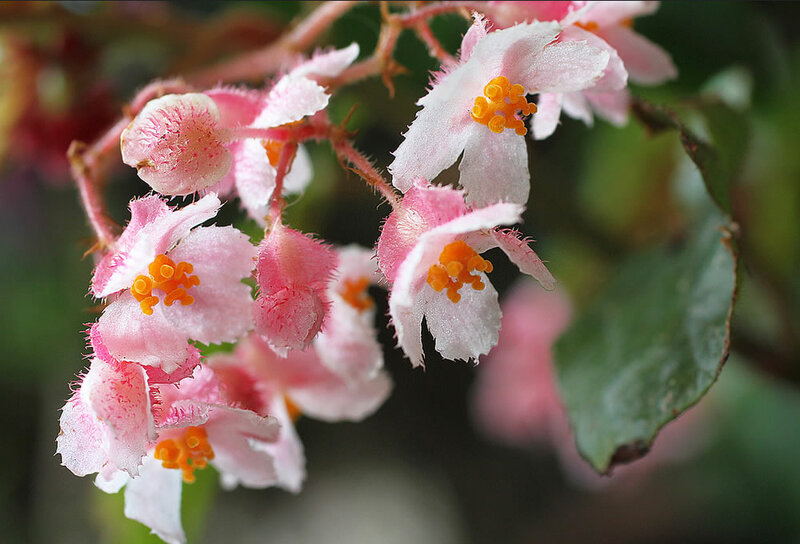 Gardening: Begonia incarnata does not tolerate temperatures below 10°C (50°F), therefor in temperate regions it must be grown under glass. They do not like cold weather. 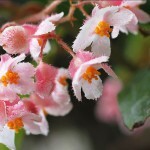 These shrub-likes begonias need tip-pruning in the early stages to encourage lateral growth and an overall pruning as adults to achieve the desired shape and size. This may be done at any time. 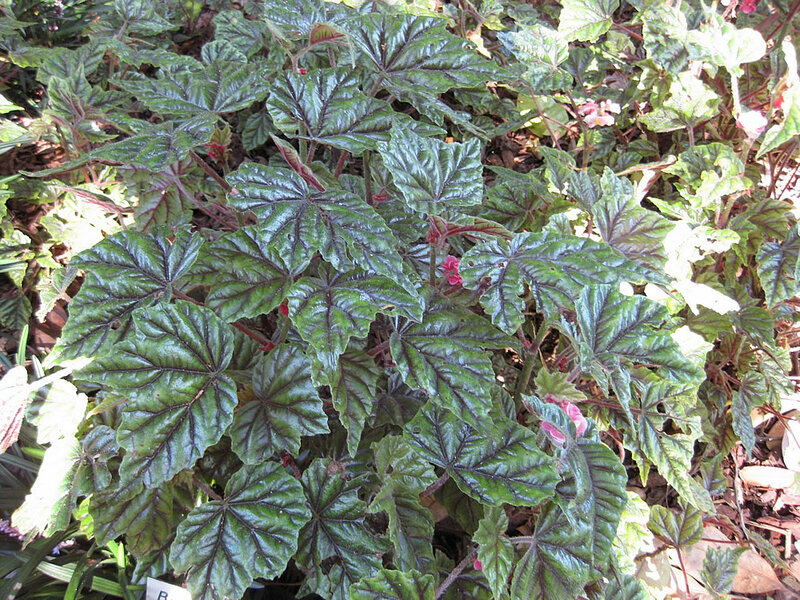 Begonia incarnata grow well in the garden and they are also well suited to being a potted plant. Location: Begonia incarnata prefer semi-shade position. The ideal place to plant Begonia incarnata is where they get morning sun and dappled shade during the day but are protected from the hot afternoon sun. Soil: Begonia incarnata prefer a free draining soil that tends towards being more acidic with a pH of around 5.5 to 6.5. If the soil is alkaline, add some sulphur to increase the acidity. To improve the drainage, add some compost or other organic matter when preparing the soil for these plants. Use leaves to form a thick natural mulch layer around the plants that holds in the moisture and also breaks down to enrich the garden soil. 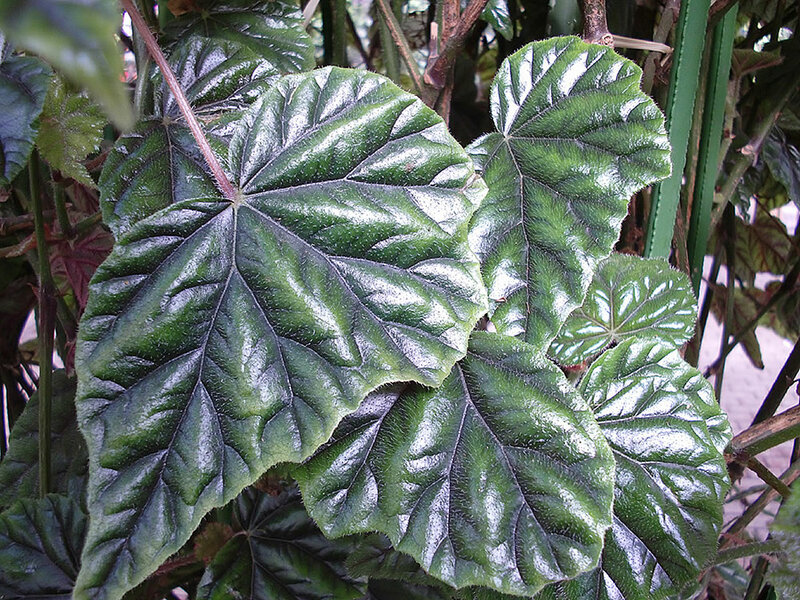 Irrigation: The leaves on Begonia incarnata are sensitive to water and need to be watered from below. Water will blister and discolor the leaves. In the garden, water them deeply as required. They are succulent plants so they will accept quite dry conditions. Water pot-grown Begonia incarnata when the soil surface dries out – test with fingertip to 2cm (0.8 inch) depth. When water the plant ensure that the pot is saturated, but do not allow them to stand in water. Fertiliser: Add controlled-release fertiliser to the planting hole and apply a good general-purpose liquid fertiliser once a month. Propagation: Begonia incarnata ca be propagated by cuttings or seed. Cuttings propagation: Take a 8-10cm (3-4 inch) long cuttings of nonflowering shoots in spring or early summer. Trim each cutting immediately bellow a leaf, carefully remove the leaf and dip the cut end of the stem in hormone rooting powder. Plant the cutting in a 8cm (3 inch) pot of a moistened equal-parts mixture of peat moss and coarse sand or perlite and enclose the whole in a plastic bag or propagating case. Stand it in bright filtered light until renewed growth indicates that rooting has occurred. It will take about three to six weeks to root. Uncover the rooted cutting and begin to water it sparingly and to apply standard liquid fertiliser about once every two weeks. Do not overwater to avoid rotting. About six months after the start of propagation, move the young plant into a slightly larger pot of standard potting mixture and treat it as a mature plant. Propagation from seed: seeds are very tiny and should be not buried when sown. Mix them with little fine sand before sowing. Sow seeds trays in any standard germination medium (equal parts of peat and perlite or equal parts of vermiculite and perlite). A light mist spray of the surface will settle the seeds adequately. Keep the propagating trays in warm, moist conditions (intermittent mist ideal) in bright light, but no direct sun. Prick the seedlings out into individual cells or small pots 6-8cm (2.5-3inch) when the first three leaves are formed. Use same potting mixture as for mature plants. The seedlings benefit from dilute applications of soluble fertiliser every two weeks. Re-potting will be necessary in about six months or so. Pot the new plants in pots one size larger when the root ball fill the pot. Thereafter treat them as mature Begonia coccinea. Yellow patches on the leaves indicate a virus. Treatment: There is no cure and the plant should be destroyed to prevent the infection spreading. Brown or black spots on the leaves are signs of rot which can result from overwatering or poor air circulation. Treatment: Drench with a mild solution of fungicide to prevent the rot spreading and move the plant to an airy spot. White spots on stems and leaves indicate an attack of powdery mildew. Treatment: Spray with a suitable fungicide and carefully remove any dead leaves or flowers as they may be affected. Repeat the treatment at regular intervals until all the white spots have gone. Sudden leaf drop is caused by fluctuating temperatures and irregular watering. Treatment: Cut back the stem tips and keep the plant warm and moist. The plant will grow new leaves quite quickly. Scorched, brown leaf tips are caused by lack of humidity and water. Treatment: Water frequently during hot weather and raise humidity by standing the pot in a saucer of pebbles which are kept constantly damp. Life span: With some care, Begonia incarnata will live for many years. Companion plants: Contrast the glossy foliage of Metal Leaf Begonia with a Euphorbia pulcherrima (Christmas flowers) or Begonia semperflorens (Wax Begonia) to create an attractive display. While they can be grown in the flower bed, try them among ferns, Cordyline species (cordylines), Croton species (crotons) and bromeliads as a contrast in height and shape. Usage and display: Begonia incarnata are prized for their attractive foliage, but their flowers are an add-on to plants appearance. They grow well in the garden and they are also well suited to being a potted plant. These plants can be kept in standard pots or in hanging pots. It is the perfect choice for beds and borders as well as it is superb for baskets, containers and window boxes. Also Begonia incarnata is an wonderful choice for combination plantings. It makes a wonderful specimen plant for a big room or hallway. Display it in a large pot on a pedestal to show off the leaves and their hanging clusters of flowers to best advantage.